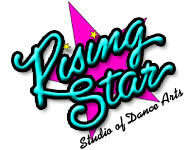 Rising Star Studio of Dance Arts, with locations in Waverly, Grand Ledge and DeWitt. Greater Lansing Ubiquitous Theatre - The latest news and information about the goings on in the theatre world of Lansing, MI. The Who's Who in Lansing community theatre. A wiki database of shows and information over the past 20 years.